In my previous blog, I’ve emphasized the importance of not using administrator account for everyday tasks, such as reading your email, browsing the web, running your programs etc. 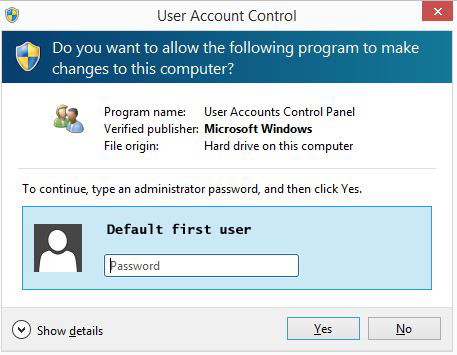 In this blog, we’ll look at how to remove the administrator access from the first account that you have created during the Windows installation process. 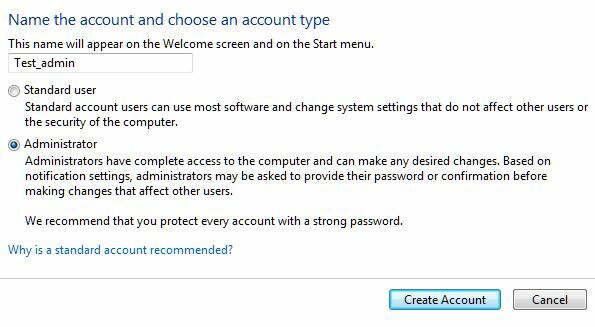 By default, Windows installation proceeds with the administrator account, amply named “Administrator”. This is the initial account that has full access to the system and installs all the necessary drivers, programs, etc. When the installation is about to be completed, Windows will force you to create a user account with a password. This account name cannot be the name of existing accounts, but other than that, you’re free to choose a name. 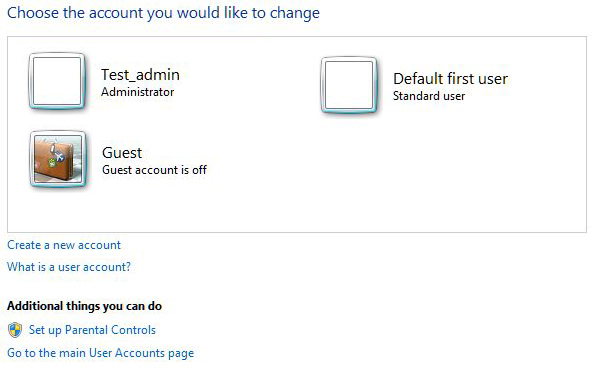 This first account created is assigned “Administrator” rights by the installation routine and the initial “Administrator” account is disabled. This installation routine first appeared in Windows Vista and continued with Windows 7, Windows 8.x, and presumable will be the same in Windows 9. Please substitute this name with your first account you’ve created during Windows installation. 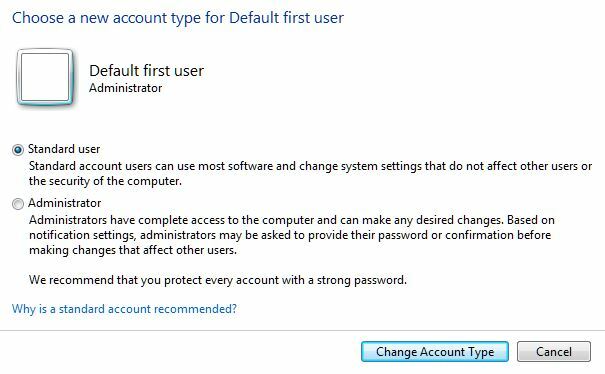 The UAC window on your system will have your first account’s name prepopulated, instead of the shown “%Default first user%” variable. You will not see this warning, if the UAC is disabled. In either case, you should set a password that is 6-8 character long, non-dictionary word, include a number, and/or special character. This is a simple step, just select the newly created account, type in the password, and hit “Enter” to login with the new account. 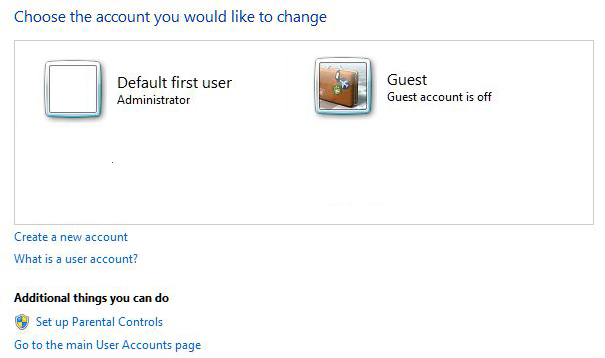 Initially, Windows will set up the new account and starts up the new profile. The options include “Create a password” that you could use in “Step one” for setting the password for the new account created. You’re pretty much done, logoff from the new administrator account. 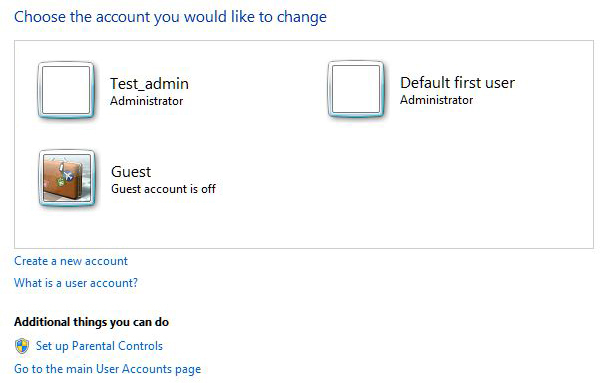 Test the modified account without local administrator access to the system, logon with this account. Your personalization of desktop, shortcuts, etc., did not change. Most if not all programs will run just fine with standard user access to the system. For programs that require administrator level access, the system will popup a UAC warning. You really should consider replacing this program, but that might not be an option. In which case, just enter the password for the administrator account and the program will run. If removing the administrator access from the “%Default first user%” causing issues with your system and/or limits your productivity, reverse the process in “Step three”. The difference between the privacy laws in the US and EU can be summed up in couple of sentences. In the US, the privacy laws are sectoral based and they do not apply to all the industries. On the other side of the pond, the EU have privacy laws that applicable to all industries, including foreign entities. The difference between the privacy laws requires US companies to comply with EU privacy laws, if and when they do business in the EU countries. This can result in some interesting changes to their websites, when EU citizens visit the company pages. One can select “No, thanks”, the end user stays on the English-GB site, and end user’s browsing activities are tracked. That pretty much sums up the difference between the EU and US privacy laws on a personal level. Basically within the EU, people need to opt-in for allowing collection of their data, while in the US people by default are opted-in and would need to opt-out, if they object. PS: This blog looked at Microsoft website links for examples; other US companies have similar website redirection for EU countries. 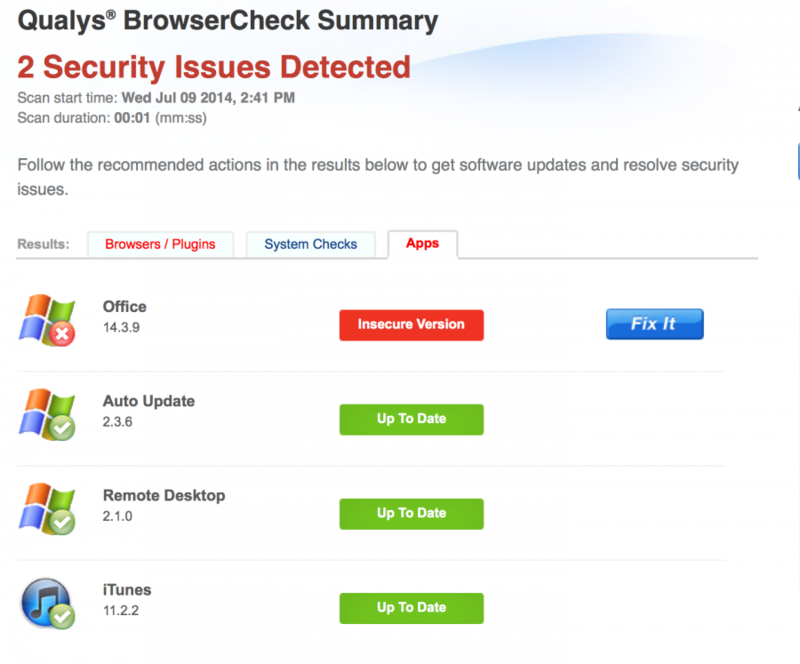 Why antivirus software cannot protect your computer…. Practically everyone relies on antivirus solutions to protect their systems against malware. 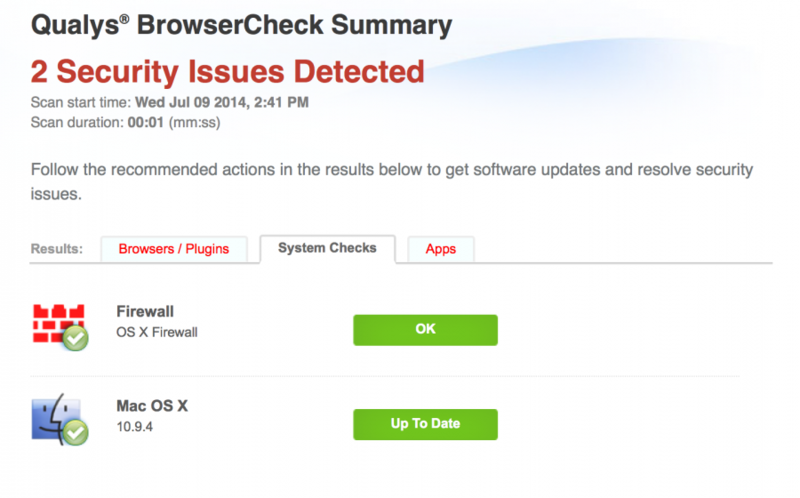 This blog looks at just how reliable these solutions are against malware? 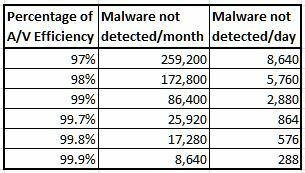 In order to have some meaningful analysis, there’s a need to know the number of new malware per month and the percentage of antivirus efficiency. That’s a huge number of malware that’s being churned out on the monthly basis as of end of 2013; the number of malware released on today’s date is probably greater. Antivirus, are you up to the task? The efficiency of the antivirus is measured in the percentage of malware, that is detected, deleted, and/or quarantined. Generally, this percentage is between 95-99 percentile, meaning that it’ll detect most of the malware. Any of the solutions and/or testing sites claiming 100% detection rate for a given antivirus should be treated as bogus. Let’s not dwell on the fact that most malware routinely disables the antivirus solution at hand and/or just exempts itself from antivirus scanning. 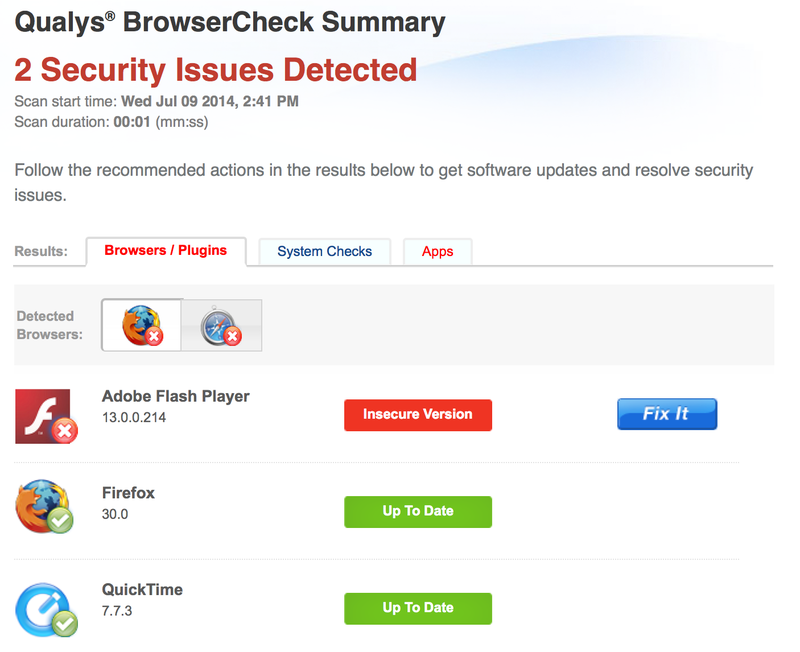 Nor should we be concerned that minor changes to a given malware would cause non-detection by antivirus solutions. Let’s just go with the best case scenario. That would be 99.9% detection rate, that still let 288 malware slip through the antivirus protection. 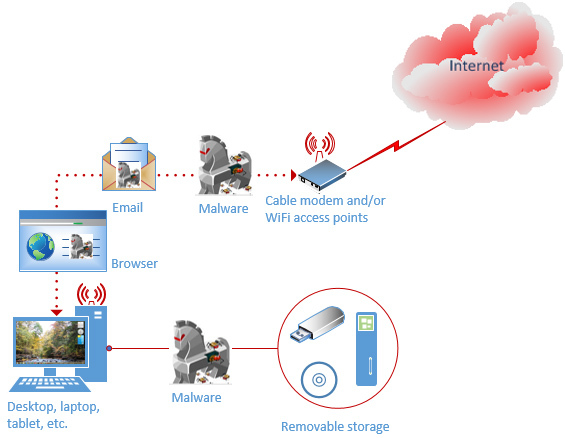 The sheer volume of new malware is pretty much the main culprit for the non-detection. Expecting the antivirus solution to provide 100% protection is beyond the capabilities of the software. Augment the antivirus solution with additional protection that can protect against malware, that is not detected by antivirus software. In another word, use layered security protection for your computer. The layer can be as simple as not running your computer with an administrator account. Doing so will prevent most malware to disable your antivirus software and allows it to perform its protective function. You’d be surprise to learn how many malware still relies on old malware routine, once the antivirus software is disabled. You could also add Microsoft EMET and Winpatrol as additional layer of protection to your system. Even if you just use the default installation of this two free programs, you’ll be better off than most computer users, who just rely on antivirus to protect their systems. Privacy and N.S.A.’s bulk collection of data..
A federal judge on December 27 ruled that a National Security Agency (NSA) program that collects enormous troves of phone records is legal. The latest decision, from Judge William H. Pauley III in New York, could not have been more different from one issued on Dec. 16 by Judge Richard J. Leon in Washington, who ruled that the program was “almost Orwellian” and probably unconstitutional. NSA is not directly collecting the data, that is left to private companies. These companies collect data on people, practically “on every move you make”, that made available to other companies for a fee. The collector can be your phone company, wired or wireless, internet service providers or search engines, pharmacies, or whatever you name, it’s all out there. And again, this data is for sale to improve corporation profitability and doing so, the data is no longer private. All NSA is doing is to acquire this data, either for free, or for a fee like any other corporations. Backing up your QuickBooks data locally on your computer is not a safe backup. Should your computer decide to crash beyond repair, you’ll loose your backup as well. You’ll need to backup your business data locally in the place of office/business and offsite (in the cloud). Yes, you should have both type of backups. The local backup protects against computer crash, while offsite backup protects data against your office/business impacted by disasters such as fire, flood, etc. How to back up business data locally? The simplest way to backup business data is to copy the data to an external storage device. The type of device selected is dependent on the size of the data. The USB flash drive is on option, that nowadays can store up to 256 GBs of data. For most small businesses a 16-32 GBs USB flash drive, for about $30.00, should be sufficient. Once you backup your QuickBooks and/or customer data locally on the computer, then simply copy/paste these backups on your USB flash drive. You can also keep this flash drive with you, after copying the backups, in case your office “disappears”. If you carry the flash drive with you, you should protect it against loss by encrypting the data. For hundreds of GBs of data an external hard disk drive (with USB, eSATA, etc., interface) should be selected, about $90.00 for one TBs. Most of these external hard drives include software to synchronize and/or backup your data. Once you install and configure the software, the backup takes place in the background, without further interaction with the backup process. You could take the external hard drive with you when you leave the office, but it’s rather bulky and may get damaged, if dropped, magnetic field, etc. How about the security of the local backups? Encryption is a double-edged sword; while encrypting data with password is easy, decryption is nearly impossible without the password. If you loose your password, you will not be able to access your data. For this reason, my recommendation is to write down the password and store it in a secure place. No, storing the password at or around your computer is not a secure place. Storing it in your wallet, smartphone, etc., are better suited options. How about offsite (in the cloud) backup? The simplest way describing in the cloud back up is to basically copying your local backup to the cloud. Depending on the size of the data being backed up and your internet connection’s transfer speed, there are number of options available. Some of them are for free, such as Dropbox, Microsoft Skydrive, Google, etc., and provide around 4 GBs storage per account. These solutions requires software installation, they create a folder on your computer, and its content is synchronized to the cloud. For example, Dropbox software will create a folder named “Dropbox” on your computer. Any changes to the files in this folder are transferred to your account at Dropbox. The simplest way to back up your data into the cloud is to store your local data and/or backup in that folder. Every time there’s a change in to the “Dropbox” folder, it’ll be uploaded to the cloud without any additional steps required. Most of the cloud storage places do encrypt the data on their servers; however, employees of the company can access your data. If you don’t want them to have access to your data, you’ll need to select an offsite solution that provides client side encryption. The “traditional means” of capturing online passwords had been provided by “key-loggers” for decades, that capture every key-strokes by the local users. As of late, Antivirus companies have added additional protection for preventing key-loggers from collecting passwords. This security protection has various names and dependent on the Antivirus company, such as safepay, password manager, etc. Almost all of these protections integrate virtual keyboard, that require clicking on the password and/or using a touchscreen for entering the password, instead of the traditional key-board strokes. The short answer is yes, they could prevent key-loggers collecting the password since the keyboard is not used for entering account information. 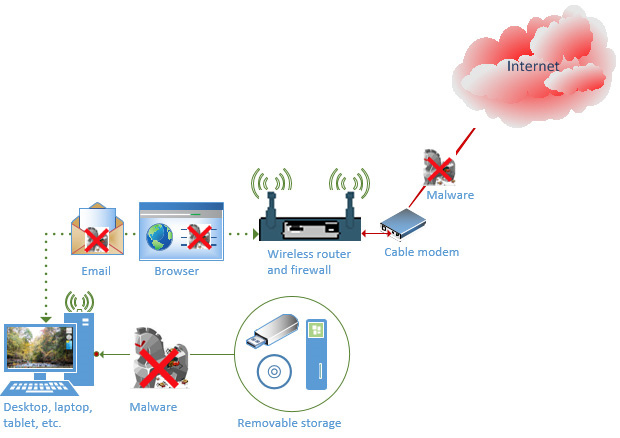 The problem is that, if the end user computer has a key-logger, the machine also has a root-kit (a requirement to install the key-logger) that has full access to the system, including the Antivirus. As such, the root-kit can routinely exempt itself from Antivirus protection and in theory, it could capture the virtual keystroke as well. Hackers always seem to be ahead of Antivirus solutions and that certainly seems to be the case for capturing online passwords. Instead of using a key-logger, they have developed a solution that capture the user account credentials by grabbing them with an HTML form grabber. The form grabber “grabs” the authentication credentials from within the browser, where the login credentials are entered. It does not matter, if these credentials entered by keyboard, virtual keyboard, or auto-filled, the form grabber captures it. The malicious package had been released in May, 2013, pretty much around the time when Antivirus companies starting to advertise/claim to secure the end user’s passwords. Coincidence, you might say? It could be… The HTML form grabber also requires a root-kit for its operation, similarly to the key-loggers above. In both cases, the common need for capturing the end user’s authentication credentials is the root-kit, without it, neither of them can capture the password. The Antivirus solutions would be better off preventing the root-kit getting on the computers, instead of rolling out additional features with dubious claims. The previous blog described the inner working of Windows 8.1 smart search, its privacy, and security risks. This blog will look at the ways to block Microsoft tracking the end user’s activities. 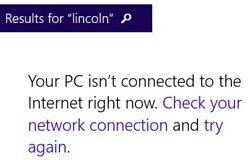 The Windows 8.1 preview version does not have an “uninstall” option for the smart search and as such, disabling smart search based tracking requires system and firewall policy modifications. 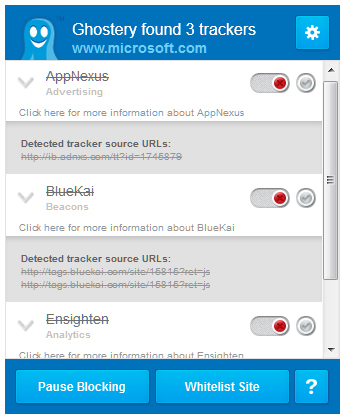 The easiest way to block Microsoft tracking of the end user is simply not using the smart search, or “Search Charm”. Other searches in the preview version, Windows Explorer, browsers, applications, etc., are not integrated with Bing searches. They might as well be in the final, but not in the preview version. If that’s not an option, here are some of the ways that can help prevent the smart search dishing out advertisements to the unsuspected end user. Block access to the destination server via the firewall policy, by DNS name and/or IP address, at the Internet gateway. The colors indicate the impact of disabling the feature to the system. 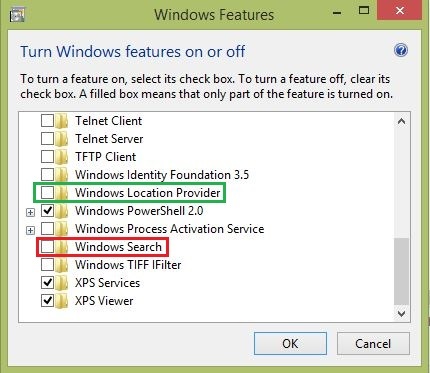 For desktops, the “Windows Location Provider” (simply tracking the location of the computer) can be safely removed. Removing “Windows Search” feature will have a performance impact and locating files on the local system will take longer. As such proceed with caution. Is it me, or the second “your search” is not necessary in this message? 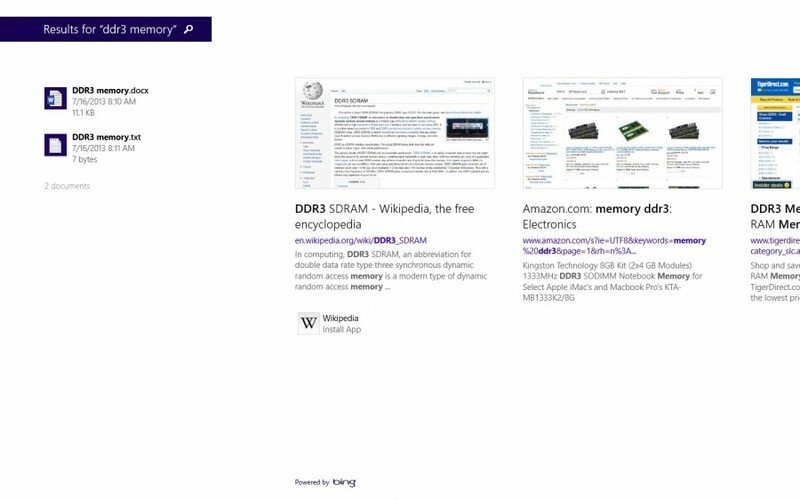 Windows 8.1 smart search… Is it really smart? Any of the options can be selected that causes the search results to be displayed in the chosen area only. The priority is given to local search over the Web search results, that are hyper-linked. Clicking on any of the results brings up the application handling the file type. 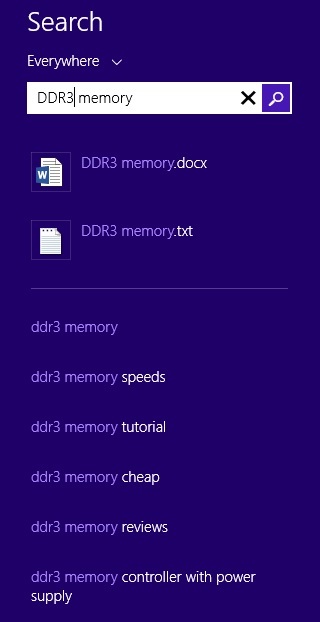 In this example, the “DDR3 memory.docx” file opens in MS Word in the the desktop; the web link of “ddr3 memory” opens up a Wikipedia in IE11, also within the desktop. The web search results are the same as the Bing’s search results in an actual browser, with one difference. The browser lists the “bing.com/shopping” as the first link. 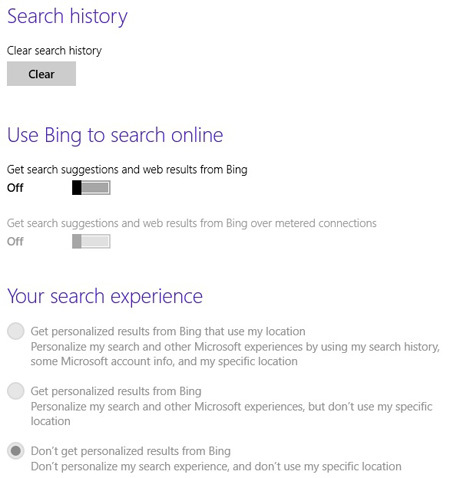 The end users who opted out of Bing searches will receive local system searches only. Kudos for Microsoft for providing and interface that disables the Bing web search integration into the OS. The question is, does the opt-out really disable Bing web search? The short answer is seemingly yes. 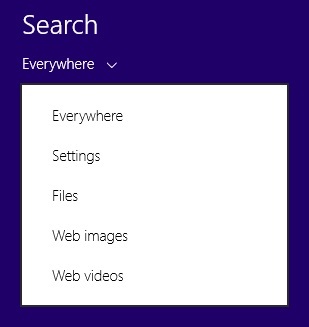 Doing a search with the “Everywhere” option selected results in displaying local system search results only. 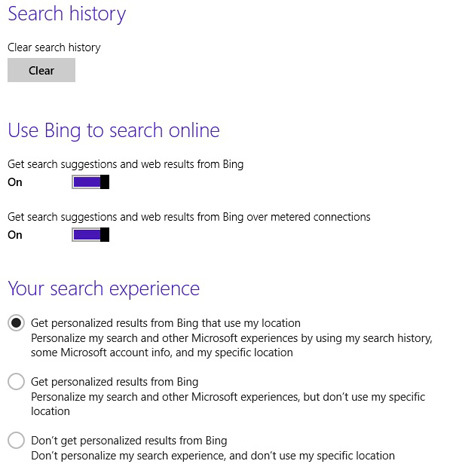 Microsoft should state that disabling Bing searches does not stop “smart search” from tracking end user activities. The “smart search” poses a privacy risk to the end user and in addition, it could become a security risk as well. Especially when hackers “re-engineer” Microsoft’s smart search and use it for their malicious purposes. The smart search is nothing else, but a combination of APIs that can be called by malicious software to collect information about the end users.The Bing search results could also be changed on the fly to redirect the browser to a site that hosts the malicious software, prior to connecting the end user to the legitimate website.